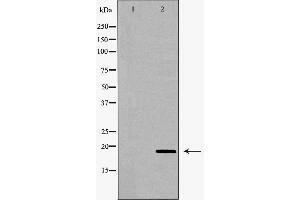 Western blot analysis of extracts of heart, using VEGFB antibody. 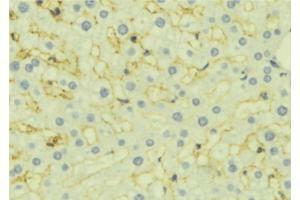 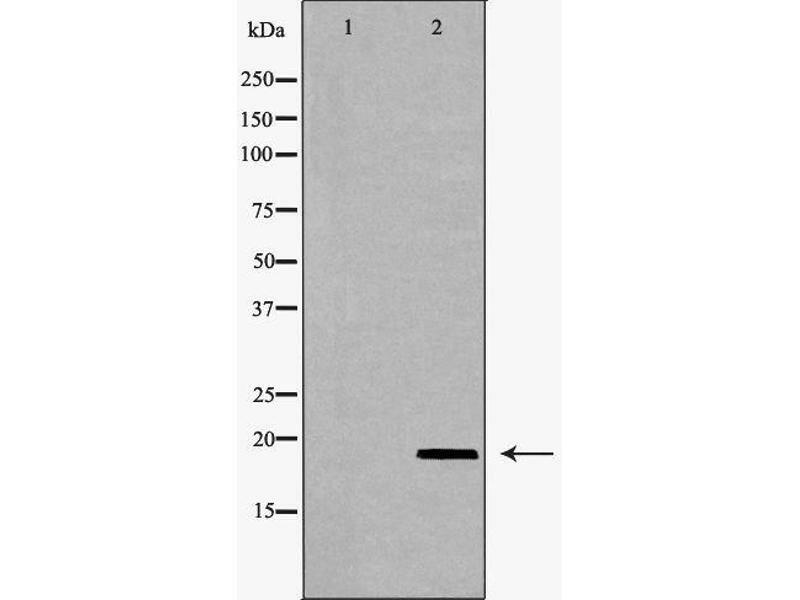 The lane on the left is treated with the antigen-specific peptide. 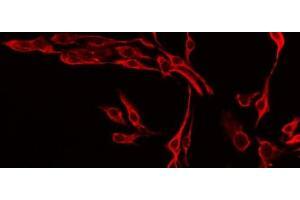 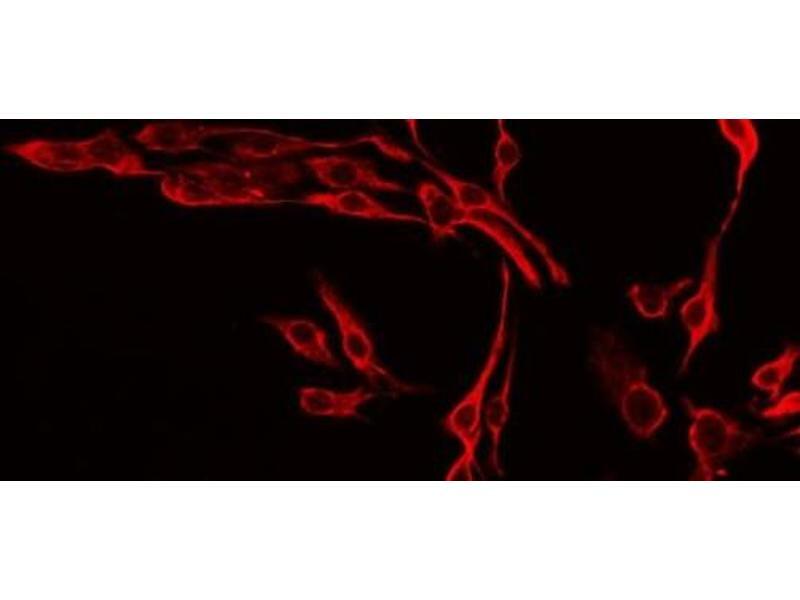 Description: Growth factor for endothelial cells. 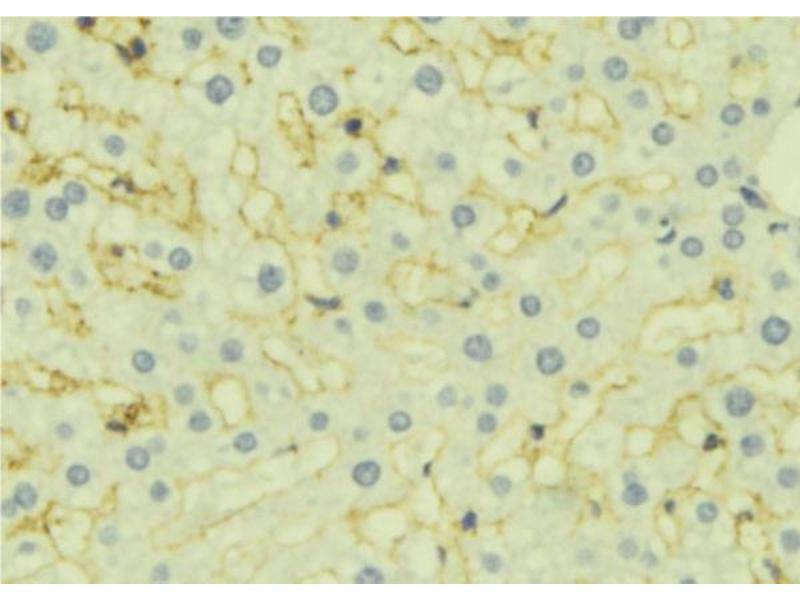 VEGF-B167 binds heparin and neuropilin-1 whereas the binding to neuropilin-1 of VEGF-B186 is regulated by proteolysis.